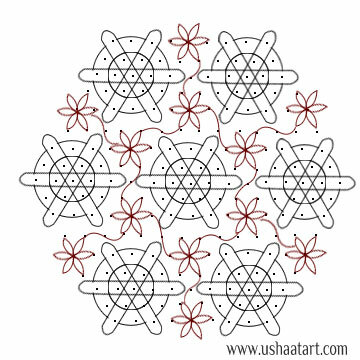 17-9 interlaced dots (Idukku Pulli) Kolam. 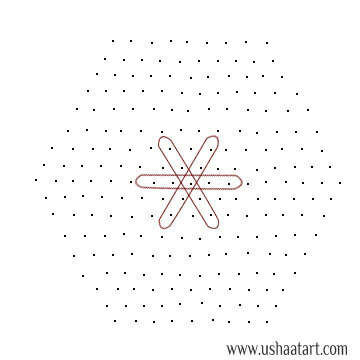 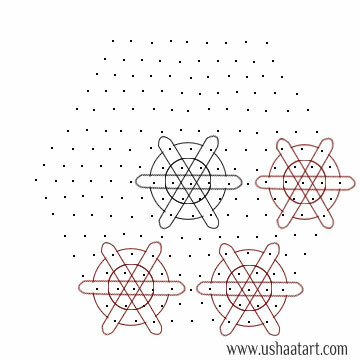 Put 17 dots then interlaced dots (Idukku Pulli) stop at 9 dots as shown below. 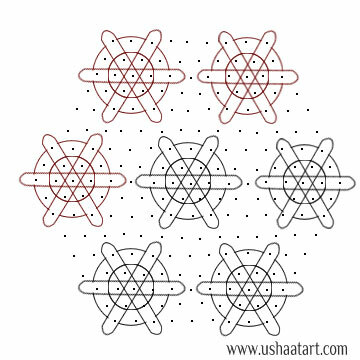 Draw same pattern around the middle one. Draw flowers and connect them.